Construction on the Thomas A. Mathis Bridge, which carries Route 37’s eastbound traffic between Toms River and Seaside Heights, will begin in November, officials said. Officials in both Seaside Heights and Lavallette said they were told by the state that a project to rehabilitate the span will begin Nov. 1, resulting in the Mathis bridge being closed to traffic. 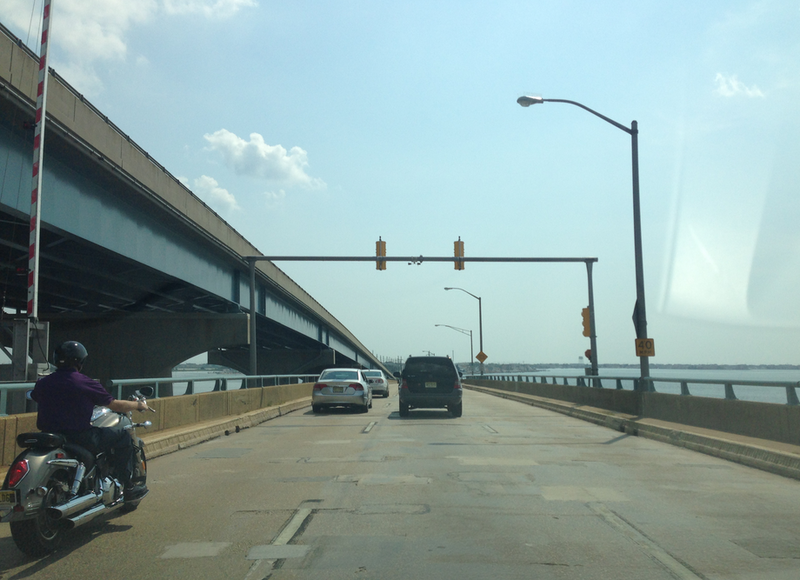 During the project, which is expected to last midway through 2018, traffic will be channeled from the Mathis bridge to the J. Stanley Tunney Bridge – which carries Route 37’s westbound traffic from Seaside Heights to Toms River – using a series of traffic crossovers. Work on the crossovers is currently about to get underway on both sides of the bridge. From the western approach, from a crossover will lead from the Fischer Boulevard intersection toward the bridge, and on the eastern approach, from the approach itself to Catalina Drive. The construction season with long term lane closures will be limited to Nov. 1 to April 30 each year through 2018, representatives from the state Department of Transportation have said during presentations to the Ocean County freeholder board. During the summer season, three lanes will be maintained on each bridge. In the case of an evacuation of the island, the barriers facilitating the traffic shift will be able to be moved out of place if additional capacity is needed. The Mathis Bridge deck width will be improved to provide three ten-foot wide lanes. According to state officials, the middle lane of the bridge is currently 10 feet wide, but the two outer lanes are only nine feet wide. Existing pedestrian access on the north sidewalk of Tunney Bridge will not be changed during the temporary traffic shift, the DOT said. For boaters, navigation will be maintained throughout the construction, but without openings of the moveable span during the lowest demand season, between mid-December and mid-March, for three seasons. The DOT has received permission from the U.S. Coast Guard to stop bridge openings. The $79 million is being funded through the Transportation Improvement Program through the National Highway Performance Program.